Comfortable and warm. Surprisingly work with mobile phones as well. 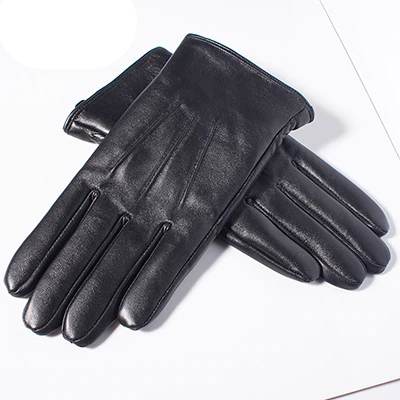 The gloves are 90% fit which is best possible when made as per generic sizes. These have great leather soft feel outside and inside velvet cloth lining makes them feel with good grip. No leather smell or chemical smell at all inside and outside. Item looks and feel with a high quality, and arrived fairly fast. Recommended store!